Sandstone tile is known for its characteristic grainy and porous texture and tactile appeal. Sandstone evokes a barren, wind-swept landscape, with swirling colors of gold, red, yellow sandstone tile and worn ivory sandstone tile. Despite sandstone’s soft and refined appearance, it is incredibly durable. Therefore it can be used both indoors and outdoors. Sandstone has been a popular building material for thousands of years. It is reliable and easy to work with and is a favorite of ancient stonemasons. In the modern era, sandstone’s range of colors and textures has made it extremely popular in up market housing design. It’s loved by designers medium. Sandstone is also the classic building stone since colonial times. Westside Tile and Stone offers variety of tones and textures in Sandstone tiles available in stock at their showroom, one can choose in terms of colors, patterns and appearance. Sandstone tile works as an all-purpose type of flooring, anywhere. The design features are the big bonus to go with the basic fact that sandstone can ensure it can survive any home environment. Sandstone Floor Tiles in high density is tough as stone making its nature as extremely durable to work for any floor area of your home or kitchen countertops. Our Sandstone natural stone pavers and tiles are cut to bring out the natural colour and texture, making its appearance more versatile and more durable material for flooring. Sandstone is a non-porous and extremely hardwearing which makes it a great and long term investment for flooring. Sandstone is the most versatile tiles among all top level home design stones because it has extraordinary range of textures, colors, and tones. It is a real artisan’s natural stone with an astonishing range of uses, which makes it the most popular stones in home design. You’ll find sandstone tiles in multi-million dollar mansions, old Federation houses, fibro-zone houses and even beach bungalows, where its durability has replaced lino and hardwood floors. Discover our inspiring Sandstone Tile gallery and discover lot of ideas & designs with our experts help to remodel any section of your home. Stone is traditionally very highly regarded as both a design and building material for professional architects, engineers, and artisans around the world. There are good reasons for this high level of respect, and sandstone epitomizes all of them. As a building design material, sandstone is naturally elegant and nothing comes near it. It works with light very efficiently, and its colors produce brilliant environmental effects. Sandstone is the absolute essence of the highest values of building designs. If you are searching for a gorgeous stone looks like a tile and replicates color tones of natural stone then you need to choose Sandstone Porcelain. Sandstone Porcelain is perfect choice for both indoor and outdoor areas, easily integrated with each decor schemes which adds sophistication to any setting. Outdoor Sandstone floor tiles are the most durable and perfect natural stone option that gives a classic look. We offer you the utmost quality of sandstone tiles that are extremely hard wearing and an ideal choice for kitchens and bathrooms flooring, fireplaces, hallways and patios. Pick up a sandstone catalog or shop for sandstone tiles and sandstone paves online, you will find real, affordable art for your own home. A mix of surface material with Sandstone Porcelain Tile gives a stunning tones and textures with higher results of durability. 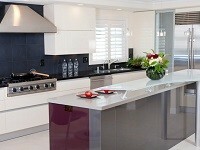 Sandstone, either local or imported, come with a large range of possibilities for you to choose. Art may imitate life, but living stone sets its own standards for both. This is a stone you can live with and a true expression of personal style. It is also unique. Sandstone tile allows you to work with color schemes, explores designs, and basically you can have as much fun as you like with your home colors. Our showroom features many different examples of Sandstone in real life environments and treatments, that can help give you an idea of how the final product will look when it’s installed in your home. Our design experts have included Sandstone in countless redesign projects and know the most effective, affordable use of the tile. Visit our showroom to get the best designs for Sandstone tile in Los Angeles, and meet our design specialist who can help you put together the home remodeling project of your dreams. 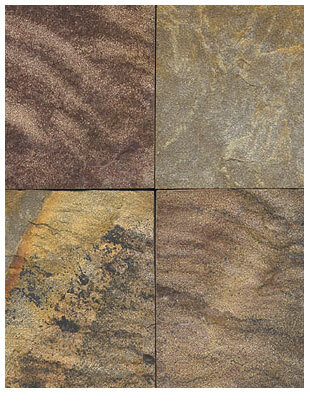 View Sandstone Tile photos and design patterns. 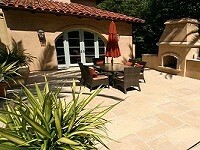 Sandstone Tile is very usable stone for outdoor applications. Visit Westside tile and Stone showroom for the antique reclaimed Sandstone Tiles with unique design from contemporary to traditional and meet our experts to get you ideas to life.